It is easy to assume H3 between Chur and St Moritz is a regular road. 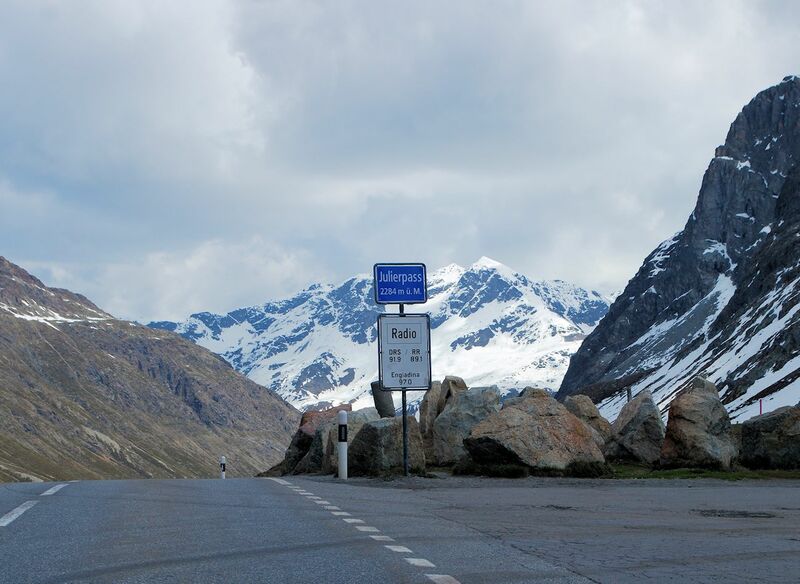 In reality it reaches almost 7,500ft at the Julier Pass. The only danger however is bringing teenagers along for the ride. 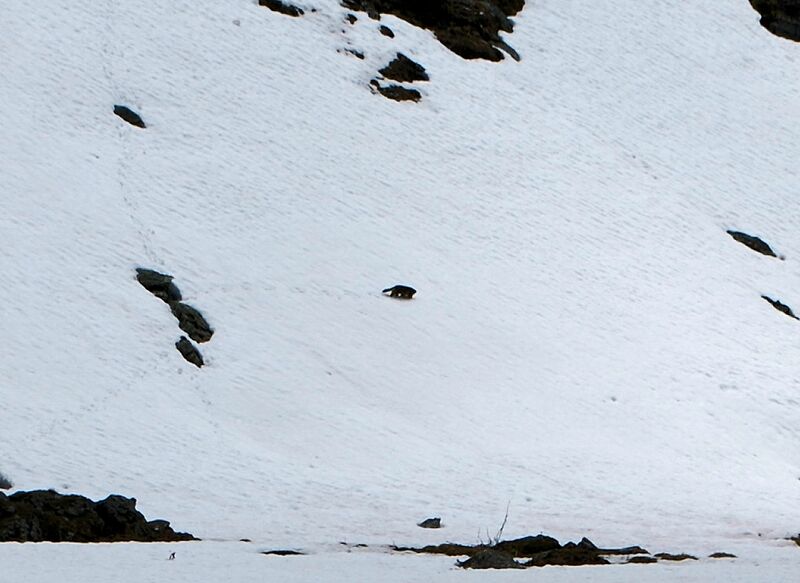 It is not obvious from the map that Julier Pass reaches the lofty heights of 2284m (7493ft). Despite a few squiggles, H3 between Chur, the regional capital of south eastern Switzerland – Graudbunden – and Silvaplana (St Moritz) in the Engadin Valley looks like just a regular road. 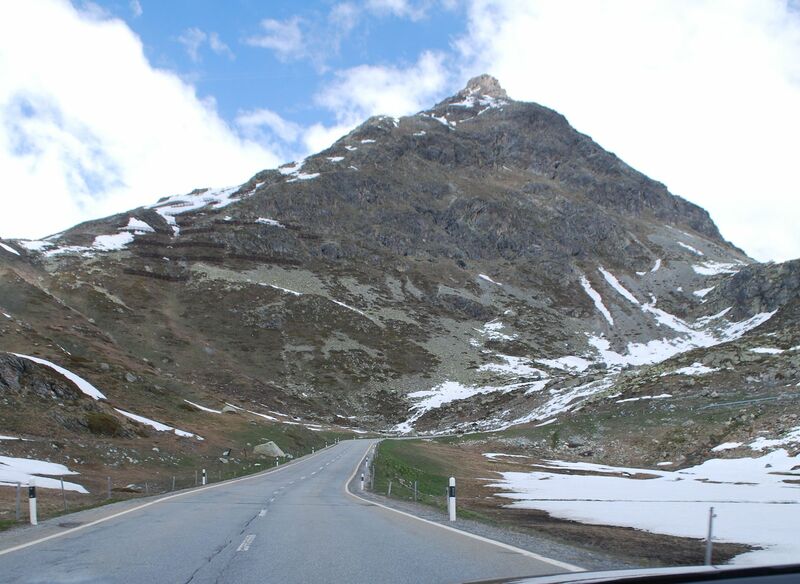 But then there are few regular roads through the Alps, in this case the Albula Alps which lie mainly in Graubunden but extend into Italy and Austria too. The road takes its name from Piz Julier, 3380m (11090ft) which overlooks from the north with Piz Lagrev 3165m (10384ft) to the south. 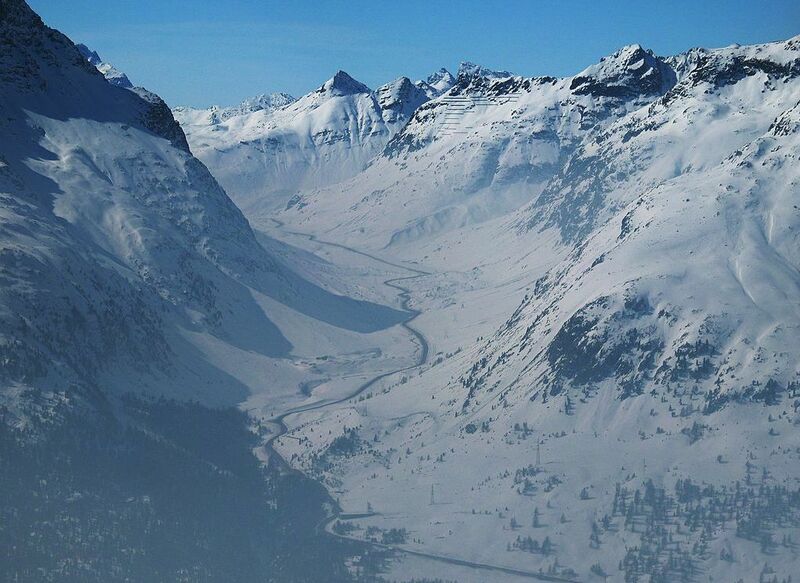 The Albula Alps are part of the Rhaetian Alps in the western part of the Central Eastern Alps. 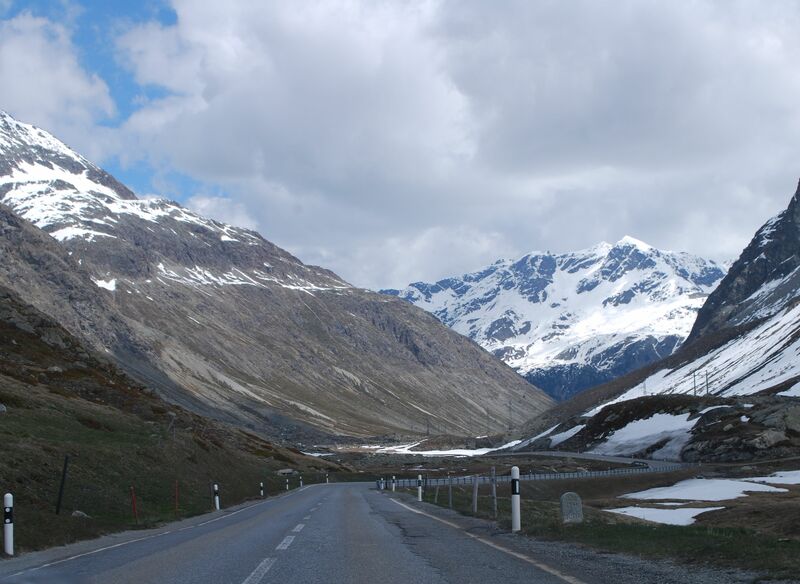 The major ranges run north-south: Ratikon, Silvretta, Albula and Bernina. Keen mountain drivers will recognise some famous names in there. Meanwhile, the big roads in the Albula Alps are Albula, Fluela and Maloja Passes. Because it is an important connection, Julier was partly rebuilt in 2009 to take out some hairpins, reduce the slope to a maximum 12% and hence keep it open all year round. It might have taken the bite out slightly but the views remain, of the typically otherworldly Albula rocky landscape. Julier is not quite as straightforward as Simplon but again it’s a relatively easy way above 2000m. There is just one warning: drivers may want distract teenagers and sensitive souls on the northern stretch. H3 passes through the middle of the unfortunately named Cunter. Piz Julier, 3380m (11090ft) which overlooks the pass from the north. Heading south to the Engadin Valley from Julier Pass. Looking back up the southern slope in winter. Photo via Wikipedia.